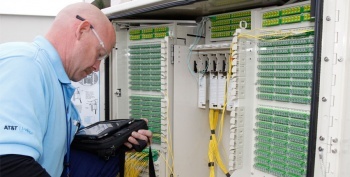 AT&T has announced it will be bringing gigabit fiber connections to 38 more markets, but there may little more to this than the announcement itself. Keep this firmly in the unconfirmed rumor category for now, but it could be worth paying attention to: according to TechDirt, AT&T seems to be conning the public and the media into believing the company is building an immense fiber optic network, while the truth may be far less impressive than that. "AT&T announced today it is planning to expand the availability of ultra-fast speeds through AT&T GigaPower to homes, apartments and small businesses in parts of 38 additional metros across the United States - which will total at least 56 metros served. With the launch of our ultra-fast Internet service in parts of 2 of these metros today - Los Angeles and West Palm Beach - AT&T GigaPower is now available in 20 of the nation's largest metros." Note that nowhere does the company state exactly when these ultra-fast speeds are coming. Furthermore, nowhere in the press release does it state that AT&T is actually targeting areas where fiber is already installed by other companies, making their costs negligible, and their announcement being that they are offering a service they should already have been offering. AT&T goes on to say it will bring these impressive speeds to 14 million locations, but offers no timeline whatsoever. To quote TechDirt, "That means it could cherry pick a few hundred thousand University condos and housing developments per year and be wrapping up this not-so-epic fiber deployment by 2040 or so." The internet of the future, indeed. There is a lot of "could" and "should" in there, it must be said. If there is a lesson to be taken from all of this, it's that companies something release press releases mostly for the sake of releasing press releases. If there is another lesson, it's that if you want gigabit, fiber-optic internet, it may easier to move to a city where Google has already installed it, than wait for your internet service provider to bring it to you.